Given the changes in the music industry over the past few years, including the direct distribution platforms that enable creators to work directly with streaming services, download stores, and even physical retailers, there can be a lot of uncertainty about what a record label does or can do for a songwriter or musician, and how that differs/relates to what Songtrust or another publisher handles. A simple way to look at it: a record label represents the recording (master) itself. While a record label is responsible only for those recordings of a song that they control, a publisher is responsible for all recordings of a song, including covers by other artists that may be released to physical or streaming formats. A single composition can be used in multiple master recordings, which can be controlled by different labels or entities. The reason that record labels generally control the master rights entirely or in part, is that traditionally, labels pay an advance to cover the recording costs for the album or single, in addition to paying to produce physical CDs or LPs and promote the album or single - whether that means radio promotion, publicity, advertising, producing music videos, or other marketing costs. Traditionally, the recording advance is recoupable, meaning that the record label makes its advance money back before the artist receives royalties from the label. Most of the other costs related to promotion, manufacturing, and advertising, are paid entirely by the record label, and not recouped. Similarly, a traditional publishing deal usually involves an advance that must be recouped (paid back) before the publisher pays royalties to the songwriter. 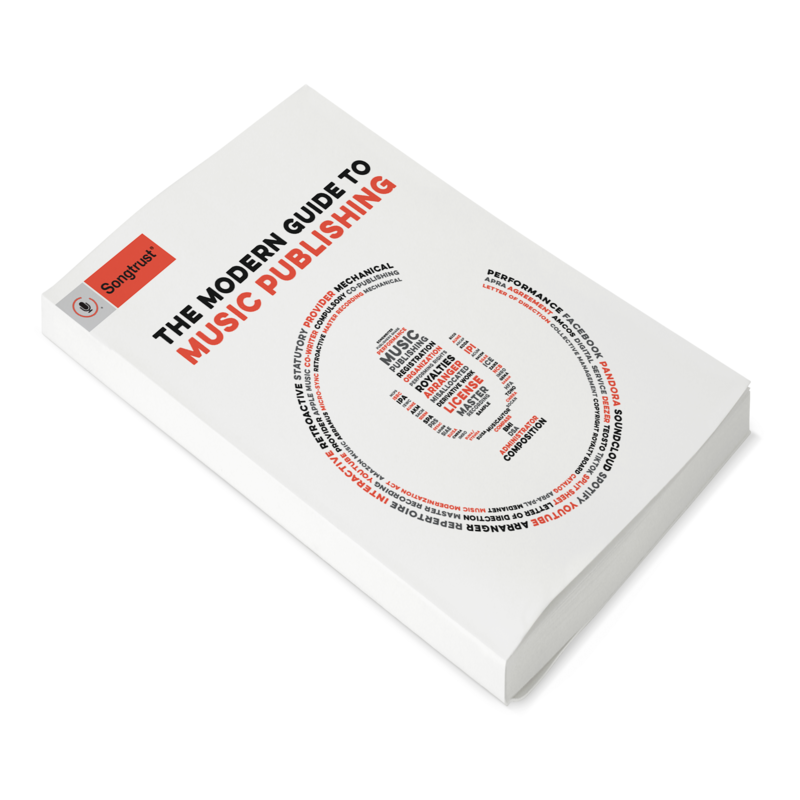 Advances from publishers or labels can be very useful to musicians who need income while they’re writing and recording new material, as well as funding the actual recording costs. A traditional publisher may incur some unrecouped costs related to creative services, like promoting a song to a music supervisor, but generally, the record label pays any costs related to promoting songs and albums directly to listeners. In exchange for an upfront advance and creative services, traditional publishers will generally require a multi-year, exclusive agreement, as well as a commission of up to 30% or more. They also may require a songwriter to produce a certain amount of new material over the term. The rights held by record labels and publishers do not overlap. This means that working with a publisher like Songtrust doesn’t conflict with a record label deal for the master recording. That said, there are some places where they interact. One of these is the mechanical royalties owed to publishers. Record labels are responsible for paying mechanical royalties for physical sales and digital download sales. These are received by a mechanical royalty society (usually HFA in the US) and paid out to publishers. A streaming service like Spotify pays mechanical royalties as well, but they pay these directly to the mechanical royalty society, without going through the record label. So a streaming service pays three royalties: the master recording use royalty, which goes to the label; the mechanical royalty; and the performance royalty (which goes to the writer’s PRO). Another way that a traditional record label deal and a traditional publishing deal interact, is that generally, both record labels (representing the master recording) and publishers (representing the publishing) will work to secure sync licenses for a piece of music into movies, television, advertising, and more. With a sync license, payments are made by the licensor to both the master recording owner/representative and the publishing owner/representative. Because they each control rights in the recording, the label, and the publisher must agree on the sync license terms in order for it to proceed. Some creators want to forego a record label deal and self-release their music through a platform like CD Baby, Distrokid, or another distributor. For creators who are also songwriters, this means that they keep all the revenue earned by their recordings - on the master side (minus distribution fee), as well as on the publishing side (mechanicals and performance royalties, minus any collection fees). Artists may choose to go this route until they have earned enough sales and revenue that they can secure a more advantageous label deal in the future. Similarly, many songwriters want to keep more creative and financial control over their compositions than they would find in a traditional publishing deal - and this is where Songtrust comes in. Songtrust is a publishing administration platform, that works to ensure that songwriters receive all the publishing royalties that they are owed, with a shorter term (one year) and a lower commission (15%) than a traditional publisher will offer. Like with labels, songwriters may develop their careers with Songtrust, and once they have achieved success, sign with a traditional publisher on better terms than they would be offered when starting out. The music space offers tremendous opportunities to an independent creator. Just as recording technology is more accessible than ever, the marketplace is wide open for artists who want to get their music out there. Songtrust is a key piece of this puzzle, enabling songwriters and publishers to access the revenue they’ve earned.